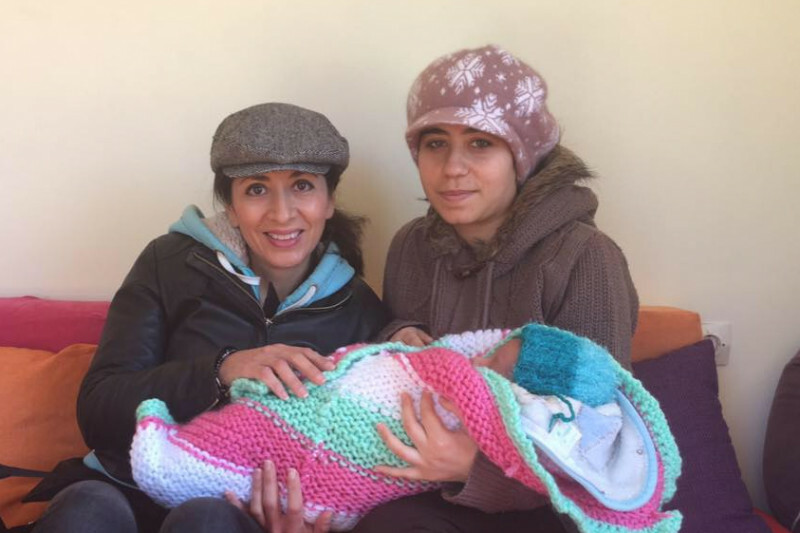 CRIBS International fundraises to provide accommodation for families with newborn babies or where the women are pregnant so they can leave the camps and have a roof over their heads. Many women have caesarian sections in Greece, often against their will. Please mark donations New Baby or, if you prefer, use GoFundMe which charges 5%. Accommodation, food and nappies cost about 700 euros per family per month. Please give what you can. It is very much appreciated. The families are isolated and need our support in their difficult time. In the camps, accommodation is in tents or isoboxes with little access to heating or electricity. It has been as cold as -8 degrees lately with ice and snow causing water supplies to freeze up. In the summer it will rise to 40 degrees. This family are now safe inthe warm and dry . Happy families thanks to you. We are so thankful to have the support of such awesome donors and supporters who run half marathons, get very muddy for us, make jewellry for us, put on quizzes and host parties and all sorts of other events. Big thanks all round. Please keep it coming. Another woman, Reema had her fifth caesarian section to give birth to her baby son . A caesarian section is major surgery and the recovery period is of key importance. A woman who has had a caesarian section will not be able to do any heavy lifting, including her other children, for six weeks. She will not be able to haul buckets of water to wash the family's laundry, nor will she will be able to squat and sit on the floor. She will require access to good hygiene - a clean toilet and a proper shower so as not to risk infection. In short, women like Reema urgently need facilities that are not currently available in her in the camps. 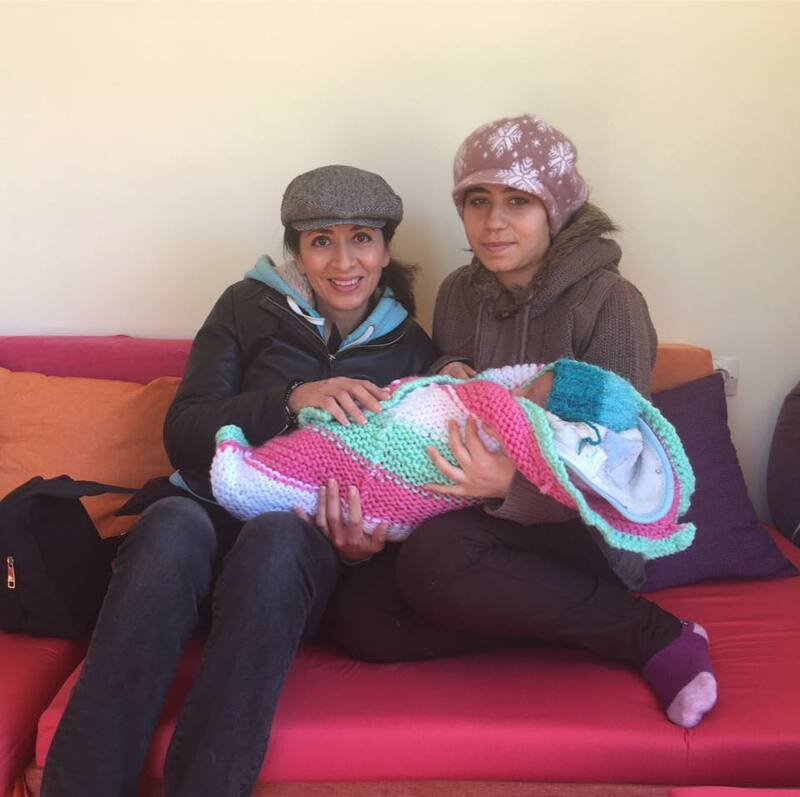 Through your donations this mum and baby and his dad are now safely housed in comfortable accommodation in Athens. This is with thanks to you great donors. where they both had their first post natal assessment at 4 weeks . They also were given some baby clothes and a stroller. Our worker on the ground, Kayra Martinez has also taken them for other appointments . We are seeking a long term plan in an apartment for them where they will be able to live a much more normal family life. Without your support none of this would be possible. Shukran. Greece is experiencing freezing weather at the moment with temperatures as low as -6 degrees. We are currently supporting 4 families long term and want to be able to take some more out of the cold for some respite . We know that January is a difficult time financially for many people but every bit helps. Please help if you can.